In any business sector, the environment evolves and adjusts rapidly with seemingly small circumstances leading to broad changes. It’s probably no surprise to you, then, that many companies aren’t equipped to deal with new and emerging challenges. It may not be possible to accurately predict what upcoming challenges will present, but over the past several years business’ responses to certain key challenges have provided insights into those companies’ successes or failures. Identifying those challenges and putting appropriate solutions in action is a crucial element in successfully overcoming obstacles to the growth and well-being of global businesses. As you may have experienced, moving into a worldwide market is necessary for survival. Your consumers expect access to products and services from all over the world. 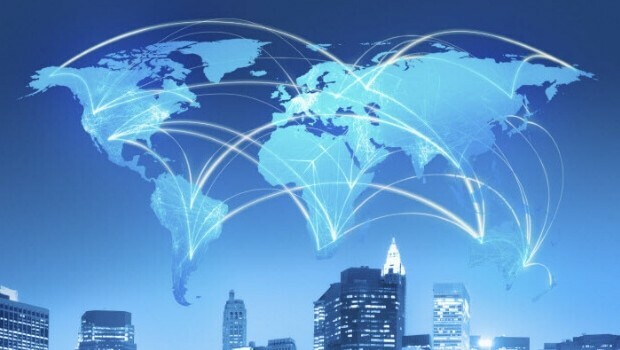 Even companies operating within a single country are impacted by international economies as they must compete with similar businesses from other countries. What are the biggest challenges you face in running a business globally? Many business leaders have learned to interact in professional settings, so establishing a business and obtaining an equal footing with others isn’t the primary obstacle. Differences in language and culture generally become a problem when customers get involved. It can be difficult creating a website or online store appropriate for the cultural norms of customers from widely different cultures. Learning the nuances of local languages and customs in target markets is essential. An awareness of how elements of marketing, such as color schemes, affect local consumers is also crucial. Operating in a worldwide arena naturally affects the use of communication and technology. It’s pretty common for businesses to have a central base of operation with one main communication system that gathers and disperses information. Trouble happens because of the different technological systems in countries other than the base country. Synchronizing those systems isn’t always possible, but it is nearly always difficult. Within each country, you must understand the laws pertinent to your industry, specific and general tax rules, and many local and national regulations. In addition to maintaining compliance with each separate country, you may face legislation affecting international business between specific countries. The laws governing trade between Mexico and the United States may be very different from those affecting trade between Indonesia and the United States. Don’t forget to look into laws and regulations regarding packaging, recycling, building design, environmental impact, and hiring processes. At this point, you may wonder whether it’s worth the struggle to reach out to markets in other countries. Of course, there are advantages and disadvantages to operating globally, but the same can be said for running your business on a local scale. Fortunately, there are business leaders from many countries who have successfully built companies and fortunes and who are willing to share their hard-earned education. For example, Sjamsul Nursalim, one of Indonesia’s 50 richest businessmen who created his fortune in property, coal, and tires has successfully navigated global markets and currently offers articles and videos sharing information about his ventures. Some of the best solutions to the challenges you face come from your people. According to the global management consultancy, Hay Group, there are specific factors that lead to success for international businesses. Your ability to put these practices into effect in each country in which you operate may be key to worldwide success. Many companies neglect one of their most important assets: their existing staff. The people on the ground who work directly with consumers can make or break a business. Try putting together teams and groups with specific goals. Develop cooperative attitudes within the workplace. According to the Hay Group research, many employers believe they have a strong teamwork ethic, but employees don’t have the same belief. Training and effective communication are the keys to this solution. Business leaders must adapt to problems as they arise and need to do so quickly. Unfortunately, many employees feel that decisions are made by administrators who don’t understand real-life problems. They also note delays in decision-making and necessary changes. The Hay Group research also shows that employees are often frustrated with lack of clarity in their progression. For example, workers generally believe they aren’t paid fairly and that they won’t be rewarded for working harder. Naturally, when employers are in touch with their workers, the potential for innovation and productivity increases. How do these solutions relate to global challenges? The researchers and professionals behind the Hay Group report suggest that recognizing the potential of employees as assets are more likely to succeed. This becomes especially important as international business owners recognize the impact of having administrative teams of employees located within each country. As you’ve worked toward your international business goals, which challenges have been most difficult to face? Have your experiences affected how you view your employees? Do you believe these solutions could have a positive impact on your outlook? Maybe it’s time for some innovative changes.